I was going to start off with one of my favourite ales, and I bought a bottle of it too… But I drank it before I had a chance to think about it, nevermind. I’ve had a couple of Williams Brothers beers before and are quite fond of them. I saw this one in the shop and thought, it’s a start. WILLIAMS BROTHERS IS A MICROBREWERY IN ALLOA. BRUCE CREATED THEIR FIRST BEER, THE HEATHER ALE IN 1988 AND ARE STILL GOING STRONG TODAY, NOW WITH 14 ALES AVAILABLE IN BOTTLE AND CASK. 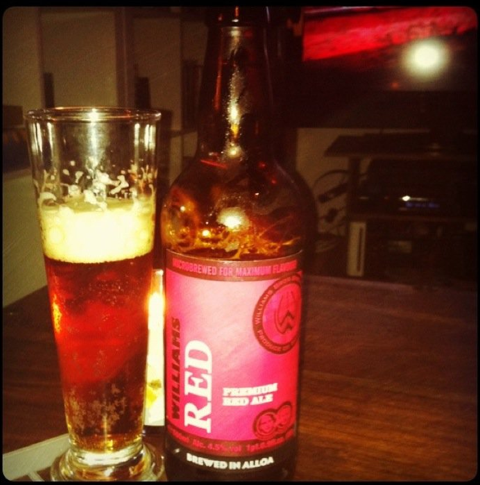 Williams Brothers Premium Red Ale is just as it says, a red ale. 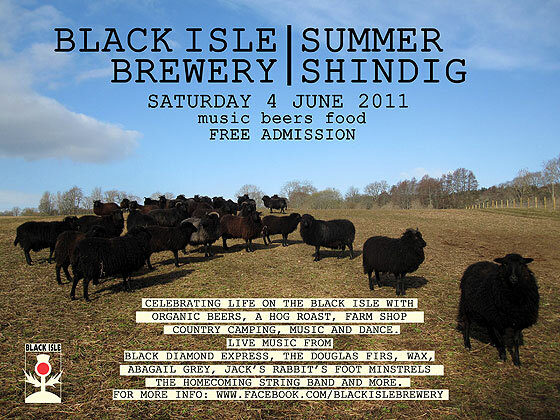 ABV 4.5% and brewed in Alloa. Branding: I’m a massive fan of the traditional bottle, it keeps the beer better and the size means its enough to keep me satisfied! The simplistic, uncomplicated label is attractive and modest. There’s not that much information about how the beer tastes but I think that’s a good thing, leaves more to the imagination. Appearance: The beer has a lovely ruby glow with a thick and frothy head. It isn’t sticky, too thick or overly carbonated. Nose: Instant bursts of a citrusy/grapefruit smell which quickly leads to a potent (but pleasant) toffee nose, and I’m already excited. Taste: Malts, malts and more malts – lovely creamy texture and taste, very nice. It has a dry taste, but not too dry. On second tasting there is a cardamon-like spiciness to it with a peppery taste on the tongue. Finally there is a gorgeous caramel/light treacle linger which leaves more to be desired. There is a bit of a bitter aftertaste which sours the taste a tiny bit. Overall a lovely beer and something I would drink again. I recommend drinking it with an Indian takeaway (as I did). The spiciness of the beer complemented the mint yogurt dressing for my vegetable Pakoras and the bitterness complemented my sweet and creamy Malayan curry.